City center hotel in Barcelona on the top of the Ramblas!. City Center Hotel in Barcelona, directly on La Rambla. Excellent location to explore Barcelona, close to local amenities and tourist attractions. 24 hours reception desk, free wifi in all the hotel, pc with internet connection in the lobby and huge tv next door to dining room salon. 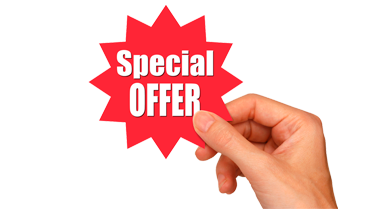 Book through our official website and get more advantages!. 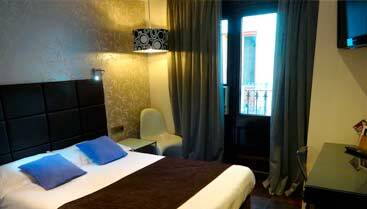 Hotel Lloret Ramblas was founded in 1926 in building from the beginning of the 20th century. Our exceptional location, directly on La Rambla in front of the Canaletes Fountain the city center of Barcelona is the perfect meeting place for locals and visitors alike. Located in the heart of Barcelona next to the city's most famous pedestrian walkway (La Rambla). Our City center hotel in Barcelona offers you the opportunity to have at hand museums, theaters, movies, restaurants, and Barcelona's best shopping areas. Our proximity to Plaza Catalunya, less than 50 meters away, is as much of an advantage for the visitors, as for the busy business traveller. Plaza Catalunya is well connected to all of Barcelona and it's surroundings via the city's Metro, bus and train services. 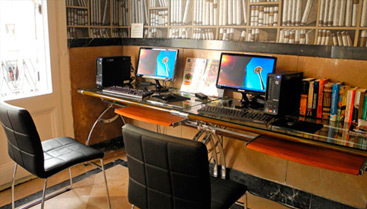 In addition, Hotel Lloret Ramblas is only 20 minutes from the airport by train, bus or taxi. 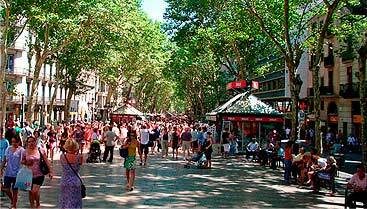 Hotel Lloret Ramblas is located on la Rambla de Barcelona!.